We know that everyone is getting excited about Valentine’s Day this year. It’s all hearts and roses and chocolates and cupids everywhere! But let’s not forget the holiday that comes before Valentine’s Day, and is arguably even more important than the fabled day of romance. We’re talking about Galentine’s Day! Galentine’s Day is February 13th, the day before Valentine’s Day. Galentine’s Day is about celebrating all of the wonderful women in your life. The day was originally created by Leslie Knope, Amy Poehler’s character on the wonderful television show Parks and Recreation. Every year, Leslie spent the day before Valentine’s Day with all her female friends, celebrating their friendship and their love for each other. This idea has become so popular, that Galentine’s Day celebrations are now a common occurrence across the country! And why shouldn’t they be? We love the idea of women coming together to celebrate each other and to celebrate their friendships. 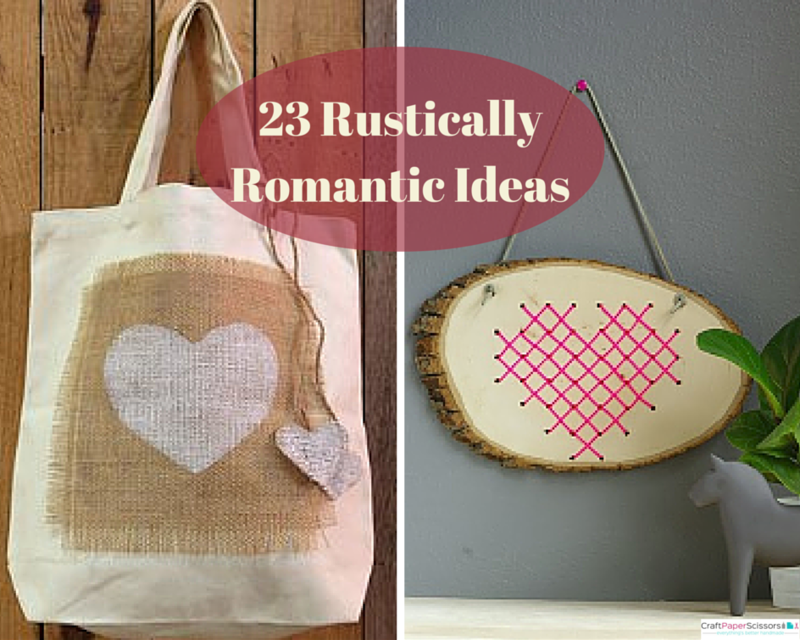 So in honor of Galentine’s Day, we’ve collected some of our favorite recycled crafts for you and your female friends to tackle together. 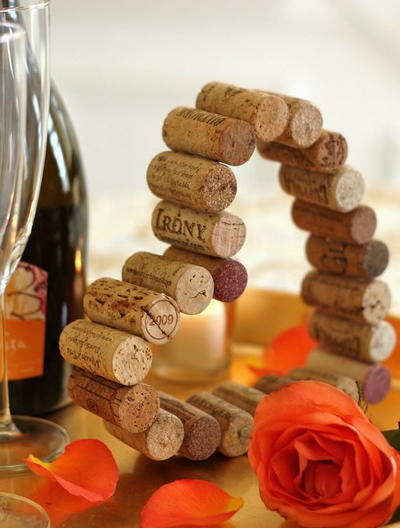 This collection of Wine Bottle Crafts for Galentine’s Day is the perfect way to make use of any old and empty wine bottles still lying around your house. 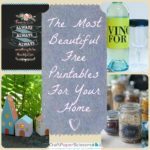 Why throw those perfectly nice bottles in the trash when you can put them to good use in your home? And let’s be honest. 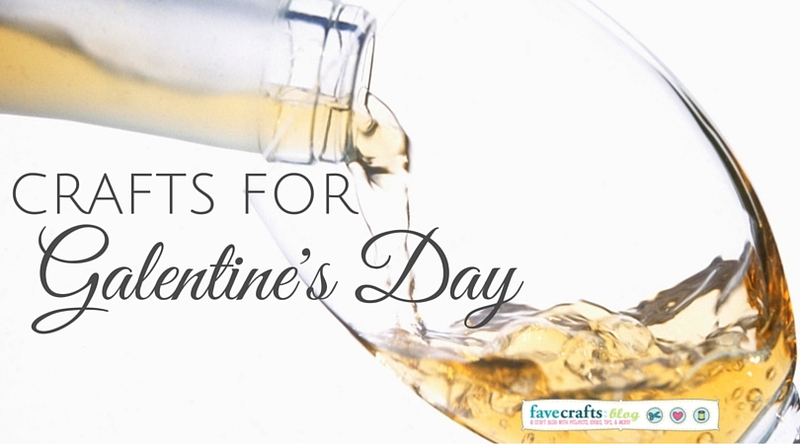 There’s a chance that you and your friends might go through a few wine bottles when you get together to celebrate Galentine’s Day… might as well have something crafty to do with them afterwards! Looking for more crafts to do with your lady friends? 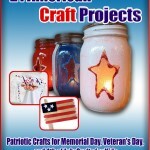 Don’t miss out on these great craft collections! Comment below and let us know, how will you celebrate Galentine’s Day? Get ready for the loveliest day of the year! With Valentine’s Day almost upon us, it’s time to get your home, your gifts, and your Valentine’s Day cards in order. If you’ve ever thought that Valentine’s Day was sort of a let-down, then you need to follow this guide to understand how fun and festive it can actually be. It’s likely that all you need are some good Valentine’s Day ideas to get you excited about the holiday again. 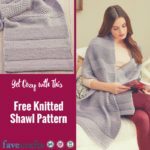 With this step-by-step guid, we’ll show you some of the best Valentine’s Day crafts to make Valentine’s Day gifts, home decor, and decorations so that you have the best Valentine’s Day ever. First things first, decorate your home so that you are surrounded by love! Making your house a fun, festive place will definitely make you excited for Valentine’s Day. Start off by upgrading your boring old candle holders into stunning, romantic decorations. These are truly The Easiest Valentine’s Day Decorations. Next, make sure all of your neighbors and visitors feel the love too by hanging a Valentine’s Day wreath or other decoration on your front door! 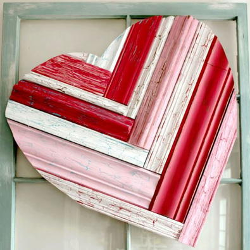 We especially love this Repurposed Crown Molding Heart Decor! 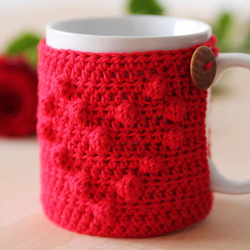 Wake up with a heartwarming cup of coffee by making the I Heart You Mug Cozy. 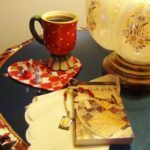 This would also make a great gift for anyone you know who is an avid coffee or tea drinker. Planning a Valentine’s dinner? 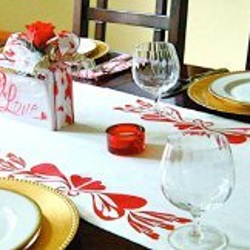 Add some nice little touches to your table decorations by making the Queen of Hearts Table Runner. Add other small touches around the house that your friends and family will love with their whole heart. 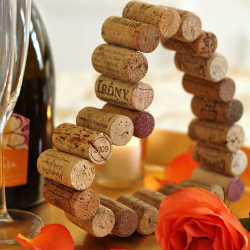 Leave this Wine Cork Heart by the bar so that all of the wine lovers can appreciate this heartwarming wine cork art. 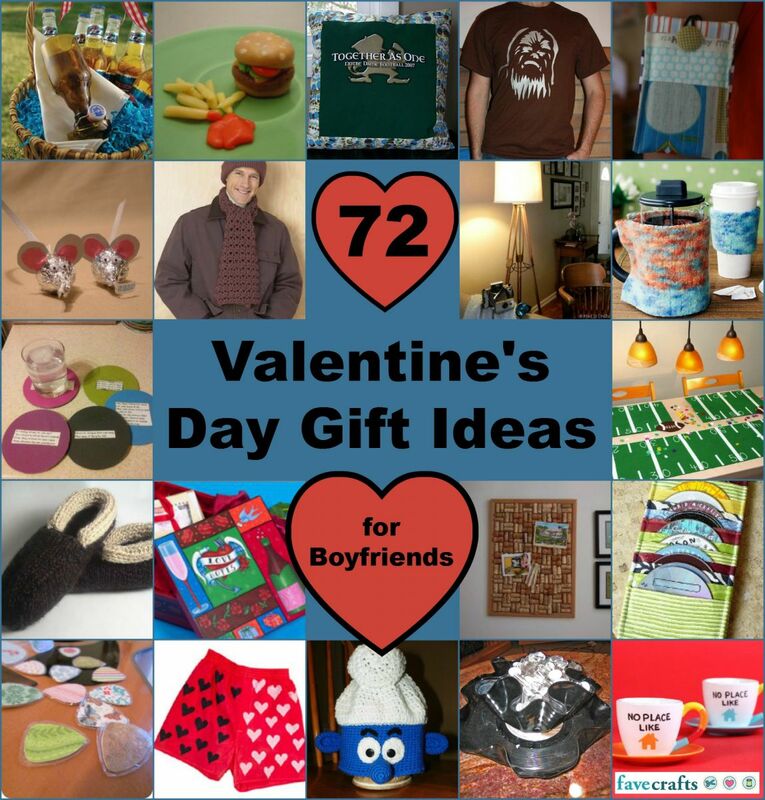 Now that your house is decorated to the nines, it’s time to start thinking about Valentine’s Day gifts. 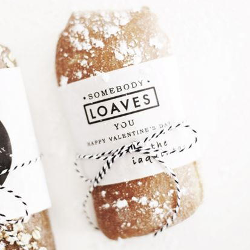 If you’re looking for a nice gift to make all of your girlfriends, why not tell them, “Somebody loaves you“? 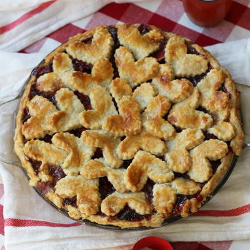 Finding gifts for the man in your life can be difficult, but everyone knows the way to a man’s heart is through his stomach, so try making him A Pie Made With Love! Now that you’ve got your gifts all set, it’s time to finish off your Valentine’s Day cards. 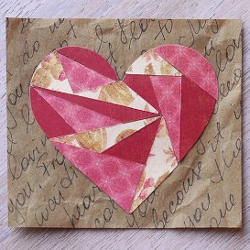 For a more serious card, try giving the stunningly beautiful Pretty Paper Scraps Valentine. 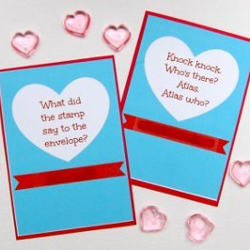 If you’re a bigger fan of funny Valentine’s Day cards, give your loved one this DIY Scratch-Off Valentine—it’s horribly/wonderfully punny! Last but not least, dress to impress! You’ve decked out your entire house—and your friends and family—with awesome Valentine’s swag. But don’t forget about yourself! 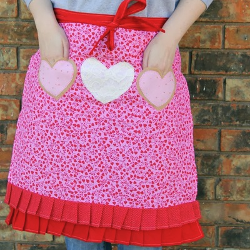 Wear this Lovey Dovey Apron to really bring out the Valentine’s fanatic in you. And there you have it! 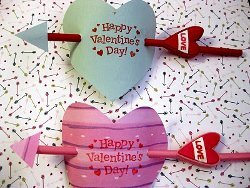 You can easily craft your way to a festive and inexpensive Valentine’s Day! Every junk drawer probably has these staples: an old map, some glass bottles, mate-less socks, worn out crayons, old thread spools, and maybe even some leftover plastic cups from a recent football party. 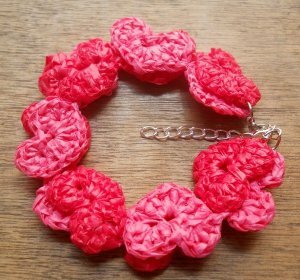 If you’ve got one or more of these, you can easily make one of these six thrifty Valentine’s Day crafts, perfect for last minute Valentine’s Day décor and inexpensive Valentine’s Day gifts. This year show your love with these cute handmade projects that can easily be made with items you already have in your home! 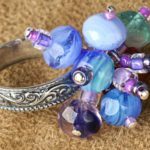 When it comes to romantic gifts, nothing beats something that’s handmade. Whether it’s a home-cooked meal or a scrapbook of fond memories, taking the extra step to make something for your loved one goes a long way. 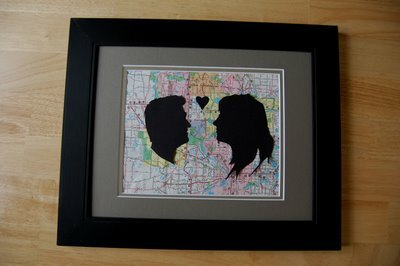 This Custom Couple Silhouette project would be a great Valentine’s Day gift for your significant other. A few pictures and some scrap paper is all it takes to make this project…and the recipient is sure to love it! For those who hosted football parties this past weekend, I’m sure you have plenty of glass bottles and plastic cups taking up room in your recycle bin. 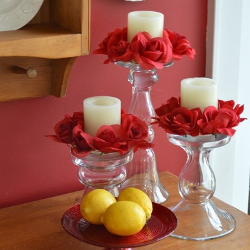 Well, with a quick wash, bottles and cups can be transformed into great Valentine’s Day décor! These Love Letter Bottles make unique Valentine gifts and are fun crafts to do with your loved one. 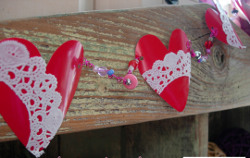 As for those red plastic cups, this Red Plastic Cup Heart Garland is an easy and fun way to add a vintage touch to your home. Decorate each heart to your liking, but lace looks beautiful against the red! Most households probably have a collection of mate-less socks in their laundry room or junk box. 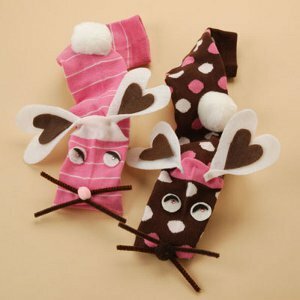 Instead of waiting for the long lost mate to show itself, why not turn those socks into these cute Bunny Sock Puppets? Inexpensive Valentine’s Day ideas like this are great for families to do together, or would be a fun project for the kids to work on when mom and dad grab dinner and a movie! When I was in young, I used to love Valentine’s Day parties at school! It was so fun to hand out little cards to everyone in the class! This year, help your kids make these Melted Crayon Hearts Valentines for their class! Not only will you use up those cracked and broken crayons, but kids will love this functional and fun Valentine! 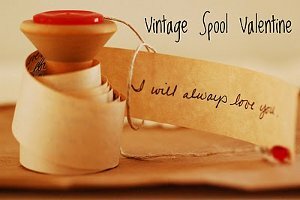 Sometimes a little love note can go a long way, and this Vintage Spool Valentine is the perfect way to show your love and appreciation. 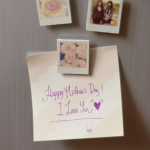 Simply write a note, song, or poem to your loved one and wrap it around the spool. Tie it with a string and toss it in your Valentine’s lunch bag, purse, or briefcase. It’s a small gesture that they’re sure to love! So with Valentine’s Day a mere week away, crunch time has begun! 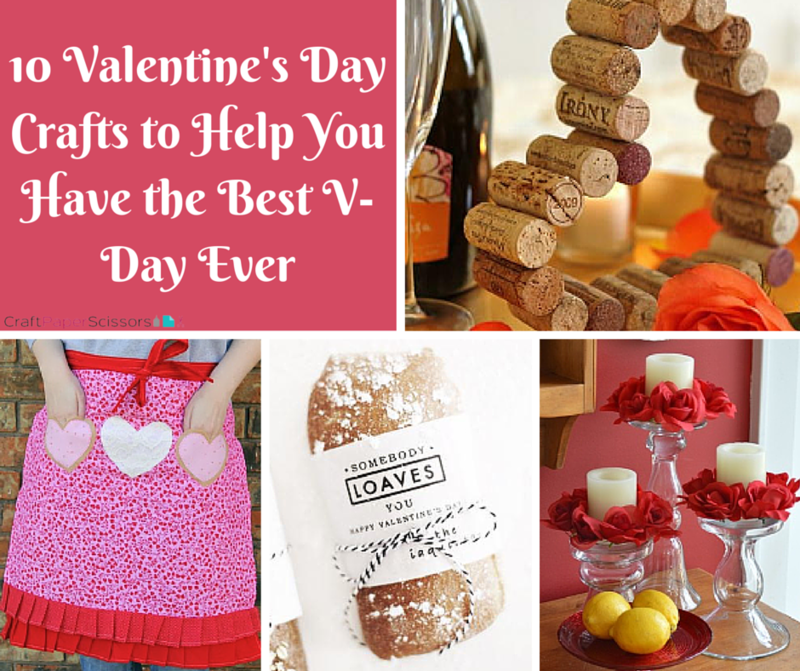 There’s no need to run to the store for last minute flowers and expired chocolate…you can make something much more meaningful with items you have laying around the house…and chances are your Valentine will just love it! 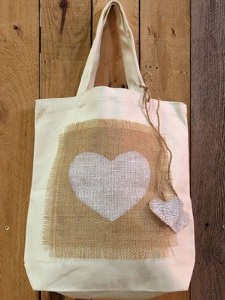 Have another thrifty Valentine’s Day craft? Tell us about it! Indulge Your Sweet Tooth This Valentine’s Day! People always have mixed feelings about Valentine’s Day. Some are all about it, going all out with red and pink decorations and making handmade cards for everyone they love. Others, myself included, are a bit more skeptical of this gushy holiday. Don’t get me wrong; I’m all about expressing love for the special people in your life. It’s just that I don’t think I need to cover myself (and my apartment) in head-to-toe pink in order to celebrate. To indulge all of us with a larger-than-average sweet tooth this Valentine’s Day, I decided to round up some of my favorite sweet treats. Some of these you can actually savor, while others are merely dessert-inspired. But either way, these are all — by far — my favorite Valentine’s Day crafts in our collection. These Licorice Love Cookie Pops are such an adorable way to play with your food! Hop on board the “cookie pop” trend with these crafty sweets on a stick! Skip those Candy Conversation Hearts you can buy at the drug store and make your own instead! This recipe shows you how to make a version that’s much tastier than the boxed variety. Plus when you go the homemade route, you can personalize the candies with whatever sayings strike your fancy! I love the idea of giving someone a gigantic Hershey Kiss shaped treat for Valentine’s Day. But all is not as it seems from the picture. Inside this foil-wrapped treat is actually a giant rice krispie treat! I think this is such a clever idea for a gift — or just a fun snack to eat on February 14th! Don’t these Crochet Cookie Hearts look good enough to eat? Though I wouldn’t recommend eating them (unless you’re a fan of the taste of yarn! ), they sure are cute to look at — and so much fun to make! 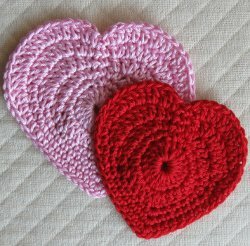 Use the free pattern to make a batch for your family and friends this Valentine’s Day! 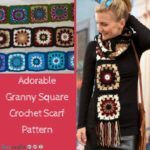 As Forest Gump was fond of saying: “Life is like a box of chocolates.” But for us crafters, life is really more like a Box of Crochet Chocolates, now isn’t it? 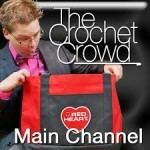 Use your yarn to whip up something that will make your Valentine drool! Who would have thought you can make gift wrap that looks like candy? This Peppermint Candy Wrap would be a perfect way to give a Valentine’s Day present to someone special. Just make sure they don’t try and lick it! If you love the idea of crafts that look like food, there are plenty more ideas just like these! Check out our board on Pinterest for more foodie inspiration! Now tell me: Will you be making any sweet treats for Valentine’s Day this year? When I was growing up, I absolutely loved Valentine’s Day. Not only would I wake up to a little gift and a sweet card from my parents, but I would get to make Valentine cards for kids in my class. 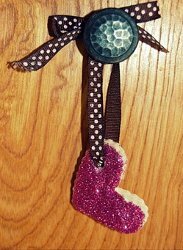 I loved jazzing up little paper hearts with glitter and stickers, and I got even more excited when we’d have Valentine craft time at school! Valentine’s Day is the perfect holiday to get your kids into crafting. 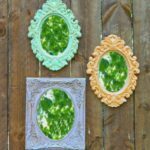 Whether you help them with handmade Valentine cards or they help you with Valentine’s Day home décor crafts, your children will love these sparkly, sweet, and colorful projects created especially for young crafters! Hard to believe that Valentine’s Day is less than a month away! With crazy schedules and kids going back to school, it may be hard to dedicate much time to making handmade Valentine cards. Thankfully there are these Easy Peasy Tissue Paper Valentines. All you have to do is cut out the tissue hearts and you can let your kids do the rest! Have them arrange and glue to their heart’s content. These Cupid’s Arrow Valentines are also great if you need to make a large quantity of cards in a limited time frame. Here’s an idea…instead of straws, you could use pencils…so the kids get a bonus gift with their little Valentine greeting! If you’re feeling even more generous, you can use a candy sugar stick as well! I’m not sure how teachers would feel about it, but odds are the kids will LOVE it! I also love these Snow Globe Valentines Cards. These would be perfect to send to grandmas, neighbors, even teachers! And kids will love that the confetti in the card actually moves, just like a real snow globe. 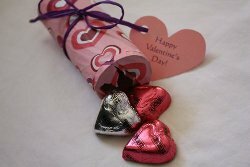 You could also have your kids help with creating handmade gifts for Valentine’s Day. These Valentine Candy Poppers are perfect for neighbors and classmates (or parents—toss one in your kids’ lunch as a sweet Valentine’s Day surprise!). Fill them with little candies and fun Valentine jokes or poems. Plus this is a great way to use up those toilet paper rolls you’ve been storing away! If you’re looking for a fun school activity, these Thumbprint Animal Bookmarks are perfect! Kids will love getting their hands dirty, and this project is virtually free to make…so it’s perfect for the classroom! Kids can make them for each other or bring them home as a little gift for mom and dad. It’s no secret that kids love a good mess…and this heart decoration is a great way to keep kids occupied after school. 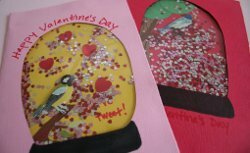 With a little salt, Mod Podge, glitter, flour, and water, kids can make these Salt Dough Hearts to give, keep, or share! This easy Valentine craft is guaranteed to please! What kid doesn’t love those little conversation hearts? And what parent doesn’t know that kids LOVE to talk? With this cute Conversation Candy Heart Picture, kids can arrange their favorite sayings into beautiful works of art. This is a great idea for those freezing cold late winter evenings when it’s too cold to sled and too early for bedtime. In an age where everything is emailed, downloaded, uploaded, and digitized, it’s so important to show kids how fun arts and crafts can be…and handmade Valentine crafts is a great way to do it! So show your kids some love and help their creativity blossom with these fun and easy Valentine projects! 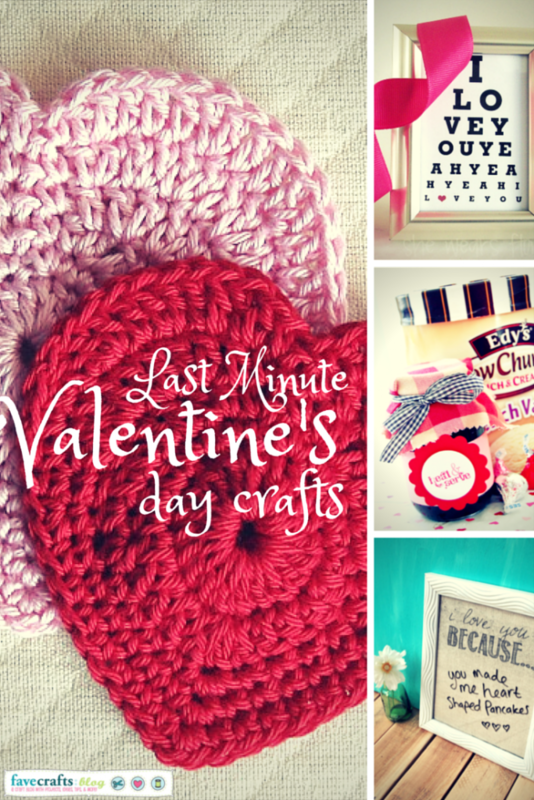 Are you crafting with your kids this Valentine’s Day? What are you going to make together?